Autumn is over, so its time I figured out what design I could use as my in-package freebies for the next season. But since this is a really crazy time in the Craftery household, I took the easy way out and went to one of the themes I used when I first opened my Etsy shop…snowmen! I love snowmen in my home decor so the next logical step was to quill snowmen for my store! I’ve made a few different versions of these little gentleman, like teensy snowmen holding gift boxes and bigger ones that are ready to be framed. 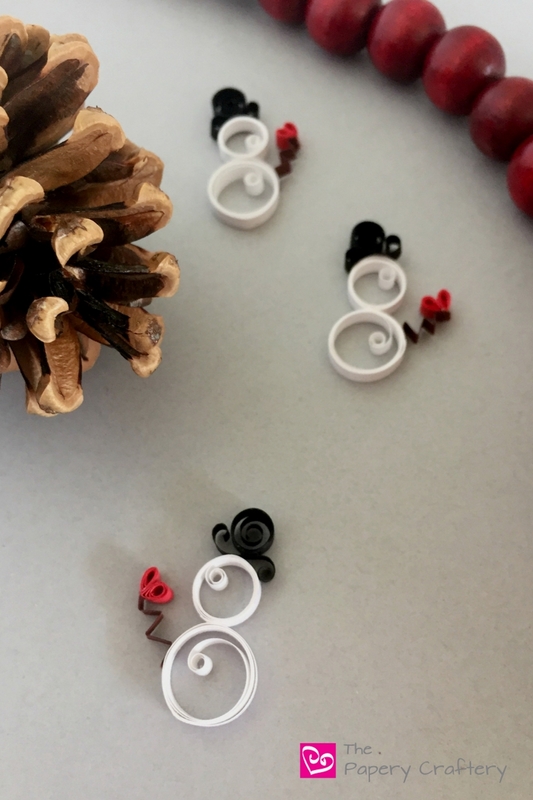 Since I love them so much I thought I’d share how to make mini quilling paper snowmen to use for your own gift tags and cards this winter. To quill the little snow bodies, I decided to use a version of a loose coil where I stretch the coil out a bit after I roll it. I used the same technique in my mini sun tutorial. I chose to design these snowmen with two snowballs instead of the standard three. 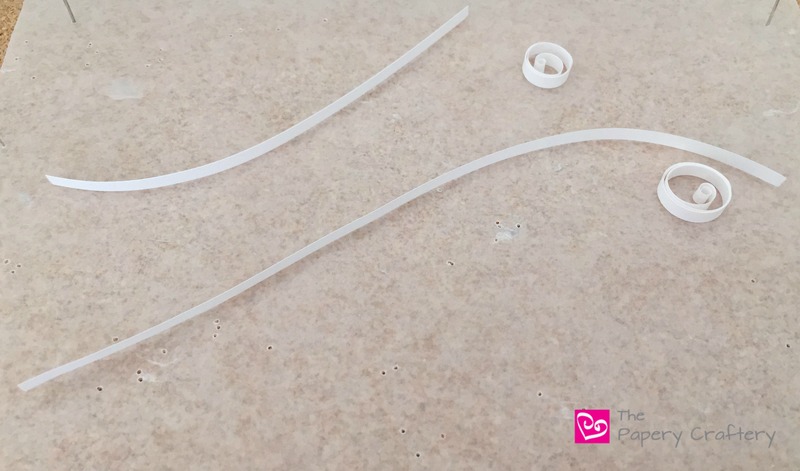 The top was rolled from a 4″ strip and the bottom, a 6″ strip. For the top hat, I used a 1 1/2″ black strip to create an s-scroll for the brim and a 3″ black strip for the hat, itself. Since these mini snowmen are holding hearts, the hearts are pretty mini, too. I used 2 2″ strips of deep red quilling paper, each formed into a teardrop and glued together at the peak. 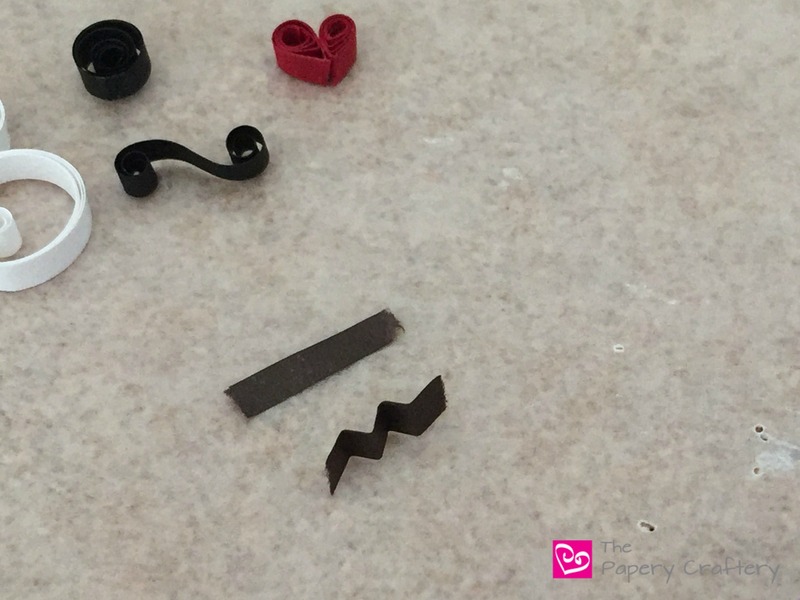 To create the stick arm, I chose a 1/2″ strip of dark brown quilling paper, that I bent with an accordion fold to make it more stick-like. It’s time for assembling the mini snowman! This is where tweezers may come in handy. 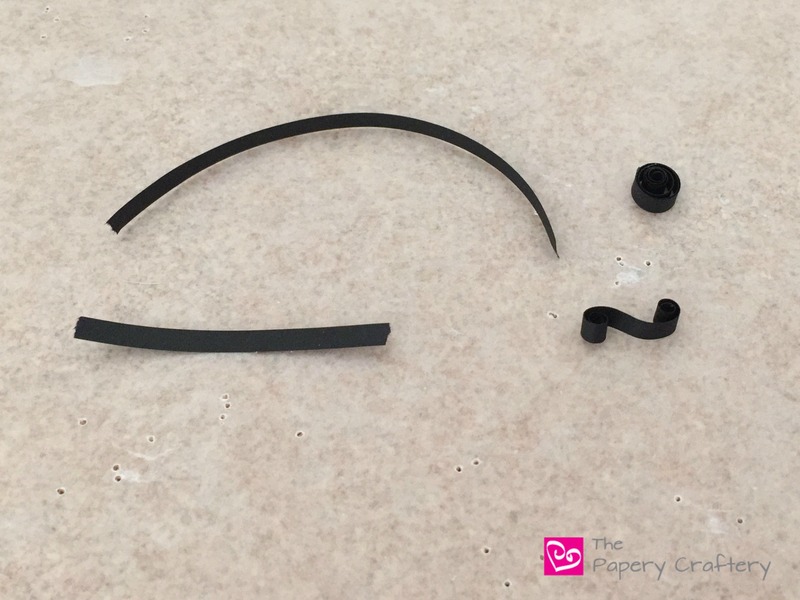 These little guys like to jump around a bit when you’re attaching their bits and pieces. Let the snowman dry and he’s ready to use on winter gift tags or cards! Once you make one, its pretty simple to make a few. Maybe quill an entire snowman village! I’d love to hear how your mini snowmen turned out and what you’re going to use them for! Leave a comment below so I can get inspired! Wow, you’ve got some great skills and patience! I’m going to share this on my Twitter for everyone to see! 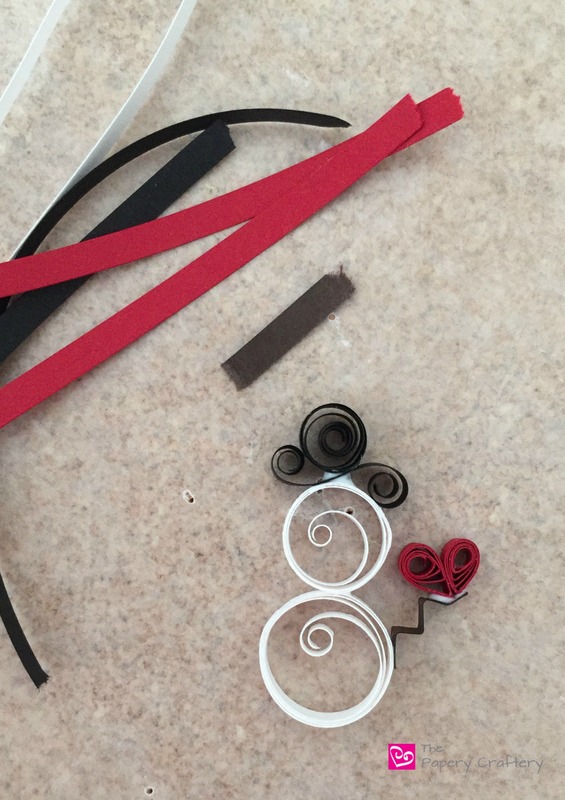 I’ve always wanted to try quilling. These are so pretty, delicate, and whimsical! I love the idea of using them with gift tags. Such a special touch to a package! Oh my goodness, if this isn’t the cutest!! Pinned so I can try it this weekend! This is too cute. I think me the anti-craft talent could actually do it! Amazing that you can take pieces of paper and make such delicate looking fine ornaments and decorations. These are adorable! I just bought my 10 and 7 year old daughters Quilling kits for Christmas. 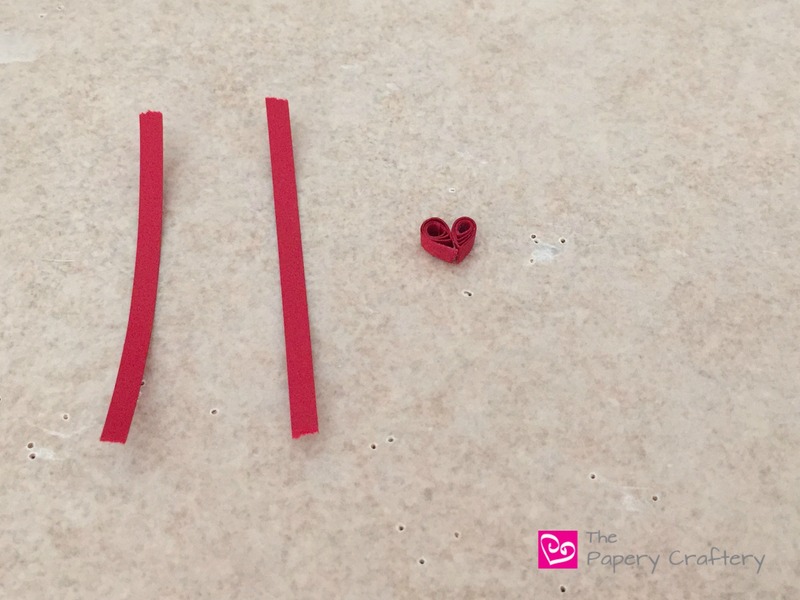 I am excited to make these with them after the holidays! These are adorable little snowmen! These are so adorable! 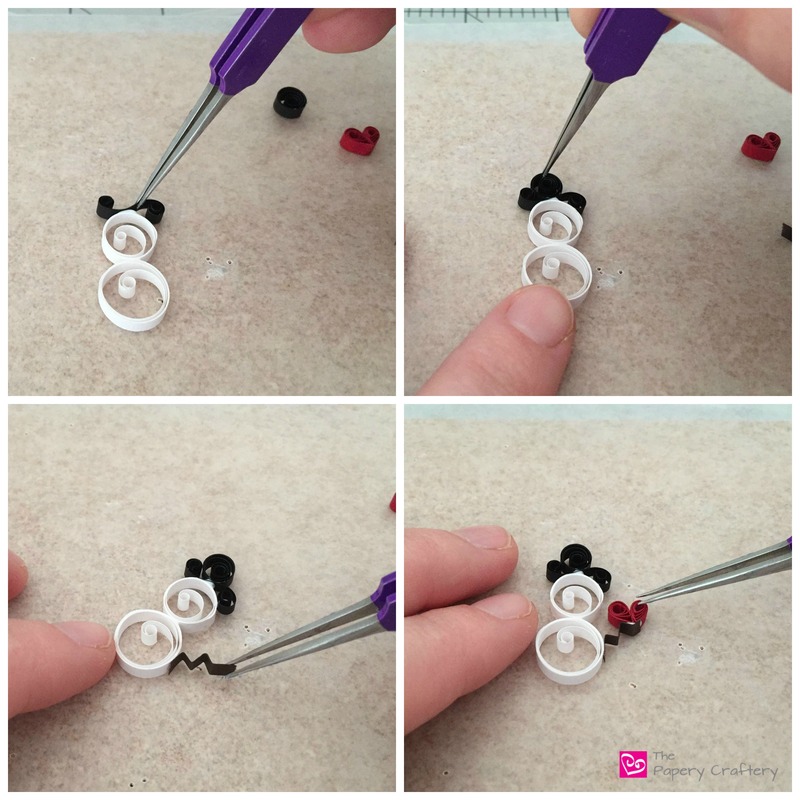 I love that quilling is so simple, my daughter will love doing this! Her little fingers will be much better at it! These turned out so cute! Absolutely adorable way to create the snowmen. 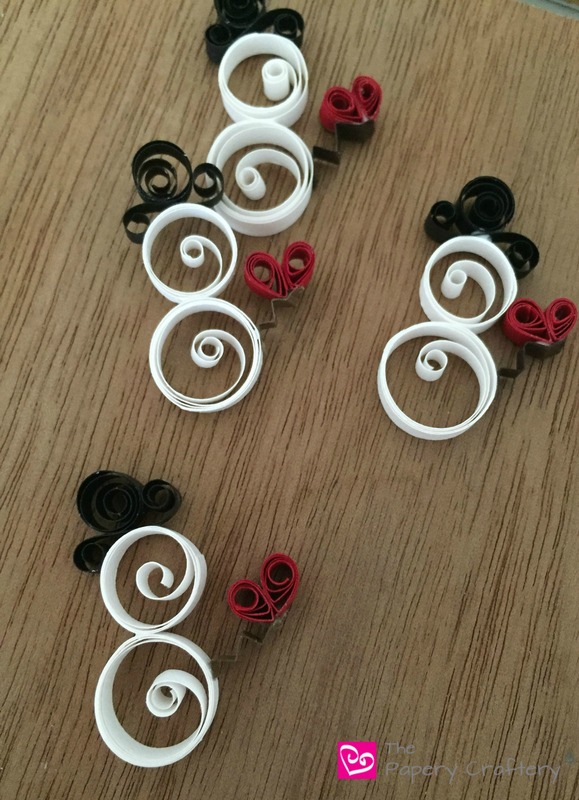 I haven’t tried quilling yet, but now I can’t wait to get started! These are just darling! 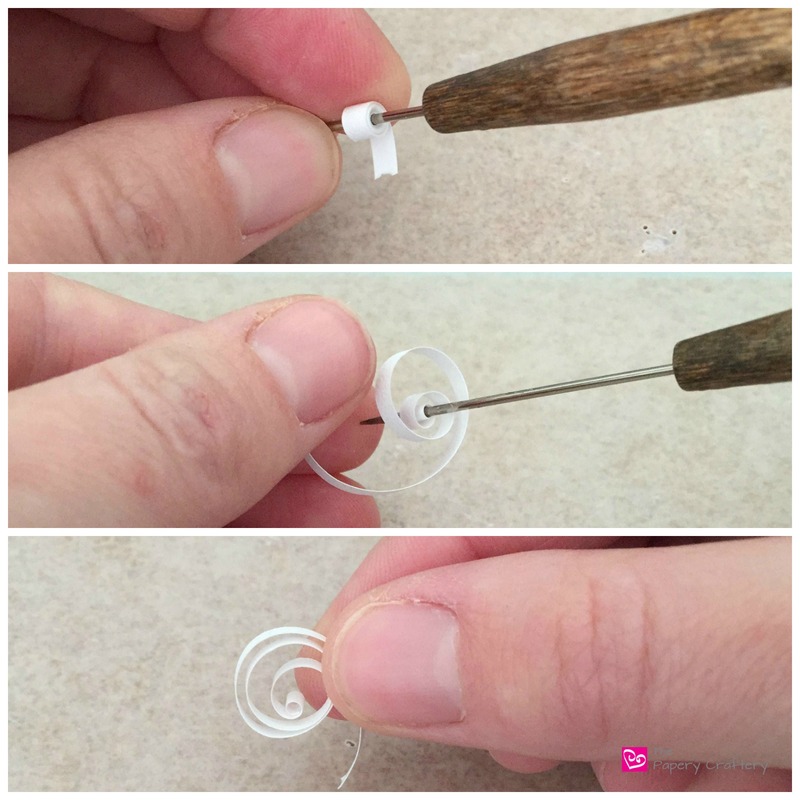 I’ve always wanted to learn quilling but was never sure I’d have the patience for it. Thanks! I’m sure you could handle quilling. It really is more simple than it looks!